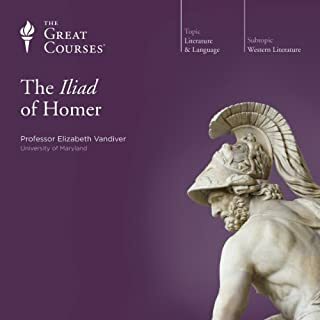 Witness the "works and wonders" of the ancient world through the eyes of its first great historian in this sparkling series of 24 lectures from a much-honored teacher and classical scholar. Herodotus (c. 484-420 B.C.E.) was a Greek who was born in what is now the modern Turkish resort town of Bodrum and who died, so tradition says, in the south of Italy. In between, his tirelessly inquiring mind took him from one corner of the known world to another. And he reported on or visited all of its continents (Europe, Asia, and Africa) to write about the vast array of subjects that captured his interest. These included the "great works" of the ancient land of Egypt; the remarkable kings who built the vast Persian Empire; and the strange customs and unlikely origins of the Scythians, a warlike, mounted people who lived beyond the Danube and whose repulse of Darius and the Persians in 513 B.C.E. made them the first Europeans to throw back an eastern invasion. The book that emerged from these "inquiries" - The Histories - is Herodotus's only known work, yet it still made Herodotus one of the rare, landmark figures in the story of thought. 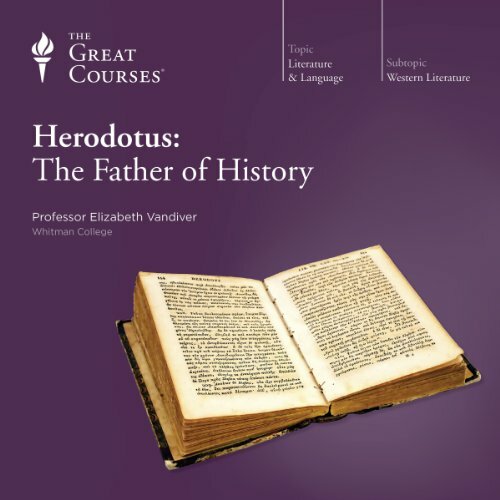 In these lectures, Professor Vandiver introduces you to Herodotus and The Histories, tracing the influences he assimilated and the new methods he used in crafting this monumental work. You learn how that work looked at the past in new and fresh ways, seeing it not as a distant recess shrouded in legend and rumor, but as something that lies close at hand; as something that immediately affects the here and now, and as a subject whose great personalities and patterns of events can be studied in order to make the reasons behind them as clear as possible. I thought this was completely informative and enjoyable. It does what courses like this do best by taking a topic you know a little bit about and just expanding it. At first, I was skeptical about the Professor but I was wrong. She was knowledgeable and easy to follow. But she also seemed to just genuinely enjoy the topic and have a lot of affection for Herodotus (as odd as that sounds by the end I did too), which really makes you get into it. The Histories really were an amazing achievement from a person who seemed to be maybe naive maybe intentionally deceptive but, regardless, endlessly curious and inquisitive about just everything. Not just the wars but culture, religion, science. And the Professor conveys that along with conveying facts. It obviously seems like a narrow and niche topic to pick up. But I really think it is worth it. It really covers a lot about the history of history and of the time. The Professor talks about how Herodotus influences others (even as they were disdainful of him) but I think that has never been more relevant. She doesn't get into it but at this point there is an "oral history" on every topic imaginable floating around. Some are considered classics (Please Kill Me, Live From New York and most of Studs Terkel). And some aren't. But the idea of learning about a topic and a place in time by just talking to a bunch of people and relating what they say word for word even if one contradicts the other has definitely come back into vogue in a very big way. That approach has a lot of flaws when it comes to relating facts and dates (so traditional history is of course important) but it often captures the mood, the feelings, the idea of a place (the real truth) in a way relating the facts can't. And, in that sense, Herodotus has truly never been more relevant. I am a great fan of The Great Courses series and have built up quite a library. Listening to these great professors, experts and masters in their field, is for me a great investment of time. I find it difficult listening to anything else as I excercise, or go about my chores. These lectures by Herodotian scholar, Professor Vandiver are my favorite. The Professor is an excellent orator and is passionate about her subject. Two ingredients that I believe, make for a great professor. This is my second time listening to the course and I intend to revisit it again. I definitely recommend this course to anyone interested in Herodotus and Greek - Persian history. I absolutely loved this course. Professor Vandiver has carefully constructed a wonderful series of lectures on Herodotus, his work, and in the world he lived in and wrote about. Highly recommended. Such a comprehensive overview of the Histories! Understanding the motives and context of Herodotus’ writing was so well laid out by Ms. Vandiver. Well worth the listen. Great lecture. Can't recommend this enough. Terrific lectures, excellent delivery, and overall a pleasure to listen to. 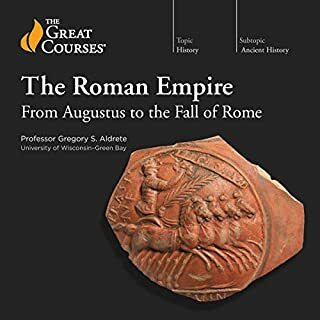 One of my favorites in the Great Courses series. This is the second of Professor Vandiver's lecture series I've listened to. I started with her lectures on Greek Tragedy, which I liked a lot -- enough to go back for 12 more hours. I think I enjoyed the Herodotus lectures even more. She's got me hooked on Classics. I find Vandiver's courses fascinating and just fun to listen to. 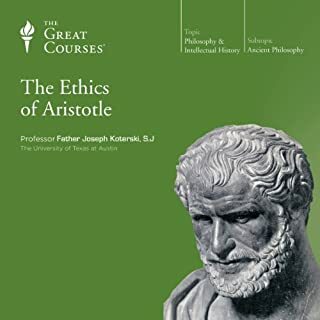 You don't need to have read Herodotus to appreciate this course. But the lectures will leave you wanting to read Herodotus. Next I'm going to listen to the Histories and then go back to Vadiver's lecture series a second time. Elizabeth Vandiver is, perhaps, the best professor for The Great Courses. You can't go wrong with any of her courses. She skillfully walks the line of summarizing material for those unfamiliar with the classic works being taught, and yet illuminating them with insights that benefit even the most seasoned readers. 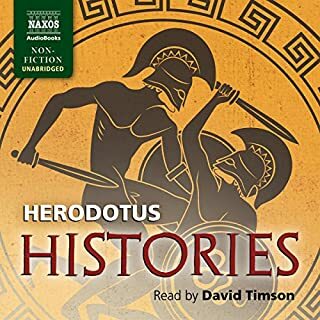 If you love Herodotus, listen to this! 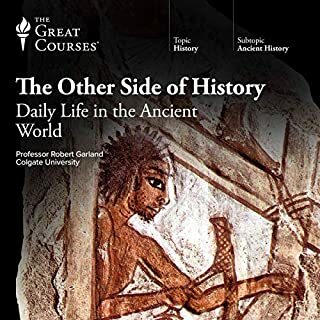 This course is both educational and enjoyable to listen to, providing greater context and insights into the Histories. I have read Herodotus more than once, and will be reading it again with a different view after this course. It also helps that the lecturer is passionate and engaging. 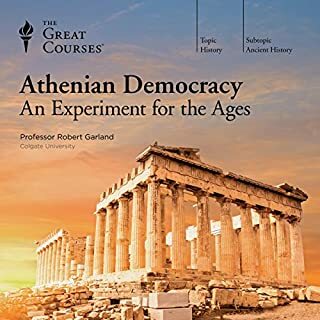 This is a fascinating introduction to The Histories, the major source for the Greco-Persian Wars. Great context is provided for Herodotus' life and times, evaluation of his role as the (first) historian (or otherwise) and coverage and analysis of the content of the work. My understanding was greatly enhanced as a result. It is good to see that Herodotus is now being re-evaluated and that after years of having many of his stories dismissed as fantasies scholars and archaeologists are now finding the buried truths within them. The accompanying lecture notes, timeline, glossary, biographical notes and bibliography are comprehensive and detailed. Prof Vandiver's presentation is very good and I am sure I will listen to some of her other Great Courses in the future. Great lecture, great orator, very fine peace of work. The background lecture was very useful. A very learned and engaging lecture series. Now to hit the arbitrary 20 word requirement. This is a wonderful audio book, the author carries you along on the tide of her enthusiasm. Deeply erudite and meaningful. I learned a lot, not only about Herodotus but about the ancient world in general; so many memorable stories. Definitely worth it and I will listen to it all again. This has been of the highest order of thought and preparation. The presenter does the work justice in insight and delivery. Herodotus would be delighted I guess to have had such care and consideration paid to the great effort he made to bring us insight. Professor Vandiver is an amazing lecturer! Thorough, captivating and rigorous. Looking forward to revisiting Herodotus! Thanks to Professor Vandiver for a marvellously presented course. Meticulously assembled. I shall revisit the course and "The Histories" many times.